Red striped with creamy yellow/green undertones. Flavor notes include a sweet/tart explosion with a tangy sweet finish. Perfect for eating out of hand, salads, cider and a saucing blend. 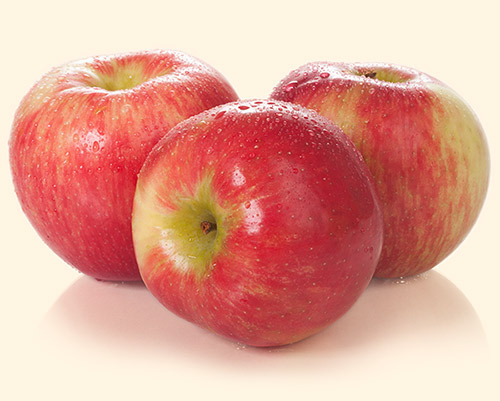 The Honeycrisp was developed in 1974 by the University of Minnesota. It has much larger cells than most apples, which rupture when bitten- giving the Honeycrisp its well known juicy crunch. Did you know? The Honeycrisp was once slated to be discarded and is now one of the most popular varieties nationwide.